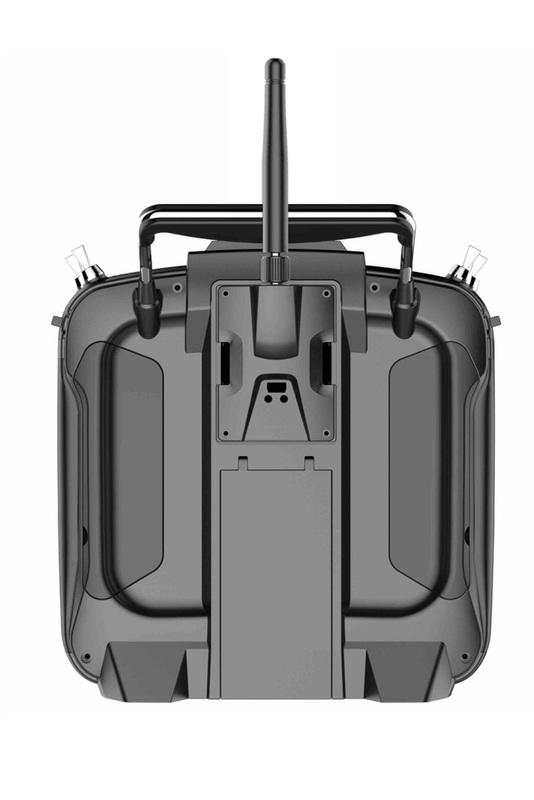 This product is on PRE-ORDER - 1st Batch STOCK EXPECTED to ship 15th-25th April. 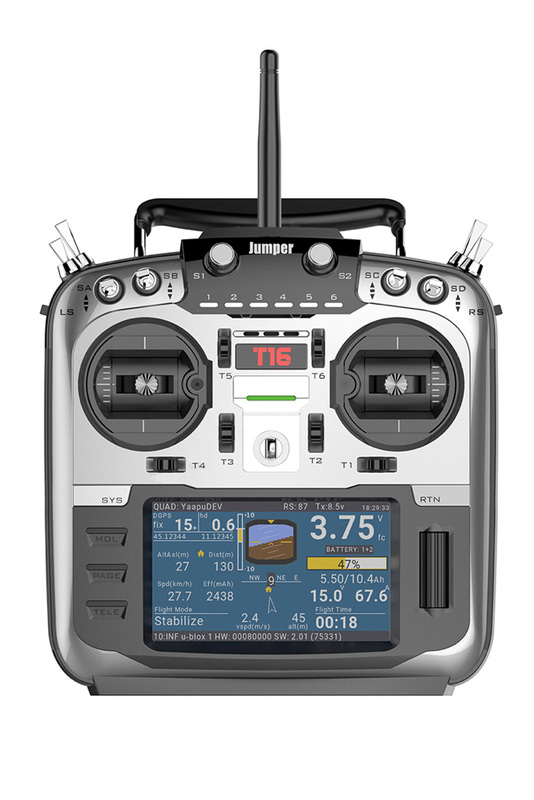 To create the most affordable, high-performance open source remote control on the market today. 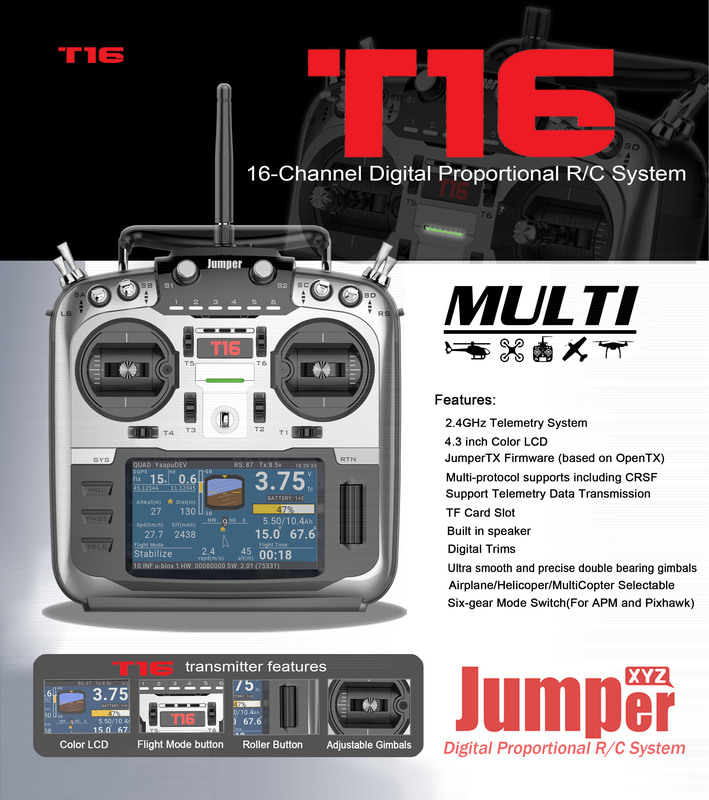 The T16 truly is the ONE radio to rule them all. 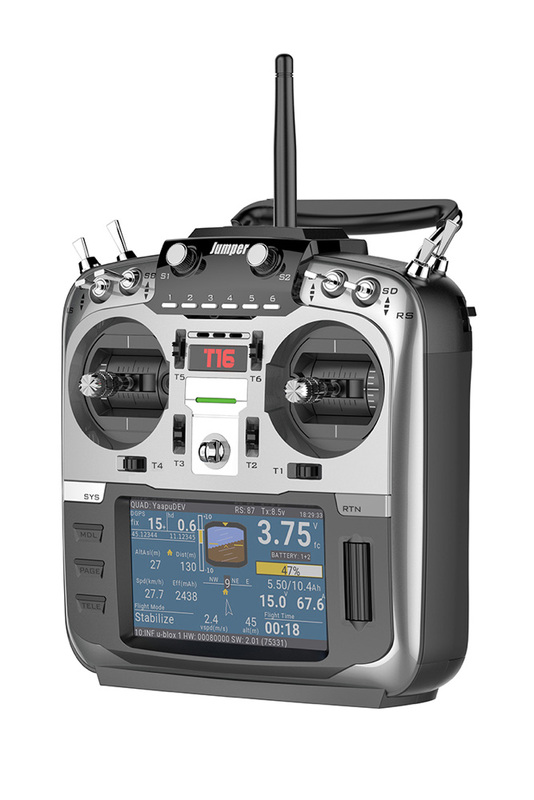 With angle adjustable ultra-smooth dual bearing precision gimbals, large 4.3” display, more than ample input controls, integrated 6 position buttons for professional flight control systems, JR module bay supporting TBS Crossfire modules and many more features the T16 is a remarkable offering at this price point. how does this radio work with crossfire? do i just get the micro crossfire module and put in the back? It has full support for Crossfire, like you say it plugs into the back of the radio.